Passion, purpose, and perseverance, these are common traits embodied in most of the successful entrepreneurs today. For Chintan Thacker, the Managing Director of Vivek Investments Limited, there is also hard work, hard knocks, and then there is ingenuity, his most valuable tool of trade. Thacker, son of Bharat Thacker, joined his father’s company in 2004. He was fresh from college and with zero practical experience in running a business. But his dad, a seasoned entrepreneur, was approaching the retirement age. Someone had to take over the mantle. So he started grooming Thacker junior for the leadership position. The young Thacker, a graduate in International Business, Finance and Marketing, began as a salesman working alongside two other sales persons in the company. He was a quick and an enthusiastic learner and within a short period of time had mastered the job, from sales and marketing to recruitment and procurement. Soon the young Thacker became the sales manager, even as he pursued his dream career in Gemmology (the study of natural and artificial gemstone materials) at the Gemmological Institute of America (GIA) in the United States. About five years later, Thacker, an ambitious, brash and self-driven sales manager in his early 30s, was ready to run the family business. “The company had about 12 employees and generated an estimated Ksh 50.7 million (US$ 500,000) in revenue when I was appointed MD in 2009,” he says during an interview in his office on the second floor of Mandev Complex, along Nairobi’s Mombasa road, adding that taking over as the MD also broadened his business prospects. He started thinking bigger and wanted to do things a bit differently from his father, who now sits in as chairman. Having learned everything that he needed to learn and moved to the top management position, there was no new challenge in the business, and that was just not good enough. “I got bored doing the same stuff every day. I wanted to do something completely refreshing,” says Thacker. Initially, Vivek Investments, founded in 1994 by Thacker senior, was a trading company that imported and distributed household products such as kitchenware, furniture, plastics, glassware, flooring carpets, to name a few, across the East Africa region. Thacker junior pondered over diversifying the business by introducing new brands and products. What if I could build my own manufacturing company? He posed. The answer was, why not? Come 2011, he set up a small lab, measuring about 200 square feet, using second hand furniture somewhere along Mombasa road, Nairobi. “We started manufacturing methylated and surgical spirits in the small lab,” says Thacker. A few trials later, they realised that it was actually not rocket science. Besides manufacturing methylated and surgical spirits, Thacker says they also repackaged glycerines, boric acid, and diluted hydrogen peroxide. All these products were packaged under the brand name Vivek. “That is how we ventured into manufacturing,” says Thacker. They, however, did not end there. In 2012, one of the company’s senior employees in the department of production, then a young boy, approached his boss, Thacker, with an idea on how they could produce soap. So in the same 200 square feet lab that they had set up, they brought in a 200 litres plastic drum and some wooded sticks, which they bought from the Juakali to mix liquid soap. “We made a small sample of about 100 litres to see if we could produce soap, but something was not adding up, so we failed the test for the first time,” says the MD. But they did not give up. They called and met with a few friends who worked in the soap factories for their input. The end product was an all-purpose washing liquid. “It was so good I immediately started using it both in my office and at home,” says Thacker. And with the soap manufacturing factory up and running, it was time to take on an even more daring challenge. A few months after setting up his manufactory factory, Thacker paid a visit to his long time business ally, Atul Shah, MD of Nakumatt, to discuss business. On top of that day’s agenda was how the retail giant could come up with its own private label. “I asked him, why don’t you come up with your own brand of products under the name Nakumatt? And he told me they were already looking into it. He then directed me to discuss the matter further with his son Neel,” Thacker recalls. So he immediately proceeded to Neel’s office. The two met and Neel disclosed that they had actually registered a name called Blue Label, which they planned to launch soon. They were also looking for partners in this particular project. “We can make the private label for you?” Thacker posed. “We are looking for someone with a factory that can make soap,” Neel responded. He didn’t know that Thacker was already making soap. The Vivek MD shared about his soap project. He then dashed back to the lab to make samples for Nakumatt. Nakumatt recommended for several samples and adjustments as the two business partners worked together to come up with the final product. Meanwhile, as Nakumatt stepped back to weigh its options on whether or not to seal the soap manufacturing deal with Vivek Investments, Thacker had some other plans in the pipeline. “Even before initiating talks with Nakumatt, I was already planning to go into the soap industry. Most importantly I wanted to create my own brand called Ezee brand and had started working on it,” says Thacker. Then one fateful day, just as he was about to launch Ezee brand, Thacker received a phone call from Thiagarajan Ramamurthy, Nakumatt’s regional director. He wanted to meet him. They met, and Ramamurthy asked Thacker how far he was with Ezee brand. “We are looking at about three to four months to launch it, hopefully before December 2012,” Thacker responded. “If I give you the order for the Blue Label today, can you leave your Ezee brand on the side, for the time being, and make for me first?” Ramamurthy asked. Thacker agreed, put his Ezee brand on the back burner, and then proceeded to make the Blue Label for Nakumatt, which they launched in 2012. Blue label became Kenya’s first ever private label that was later replicated by different players in the retail industry. Thacker launched his Ezee brand in June 2016. Under the Ezee brand he has a wide range of premium home cleaning products, all of which are manufactured locally in his factory. 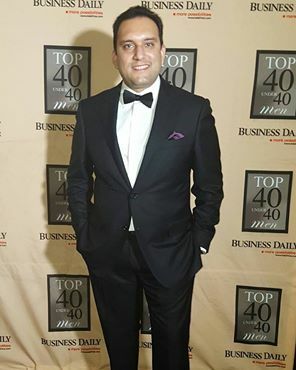 For two consecutive years, Vivek Investments Ltd has been named by KPMG as one of Kenya’s Top 100 small and mid-sized companies. It bagged the Company of the year award for productivity and quality (MOYA) by the Kenya Institute of Management (KIM) in 2015 and also emerged as one of the fastest growing companies in Kenya. Vivek, which has since grown from a small scale trader with only 12 employees to a full-scale manufacturing company with over 100 employees, was chosen by Tilburg University in Netherlands as an interesting case of innovation in 2015. The company has built a strong base in contract manufacturing, and in areas such as pharmaceutical products. The launch of Ezee brand strategically positions it in an increasingly competitive market that is mostly dominated by multinational players. Thacker is, however, not worried about the fierce competition. “I am my biggest competitor and I am scared of me being at the same level. We have to keep growing,” he says.